New York, NY. Publisher: Psychological Publishing and Distributing Corp.. Editor: C.P. Christensen. Corporate author: Psychical Research Society of New york, Inc.2/12, June 1917-4/2, February 1918. 64 pp. $1.00 a year. 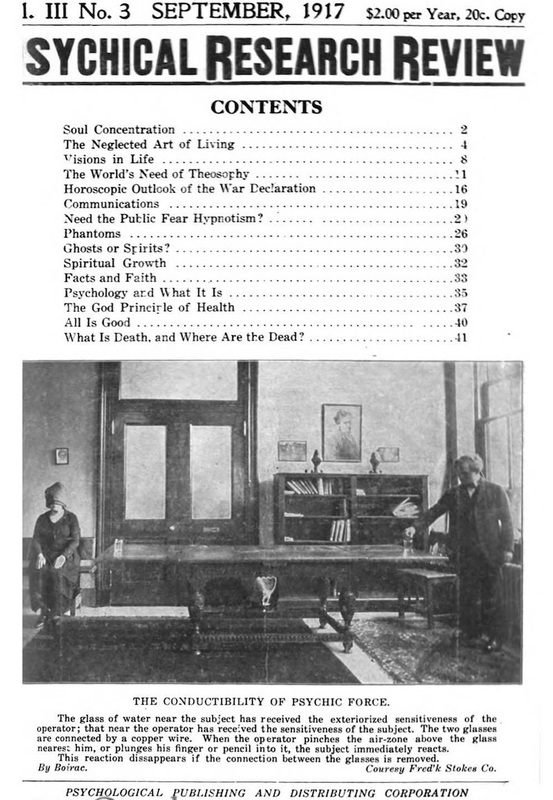 This was the title by which The Spiritualist (New York) was known in its last eight months. The advertisement in The Adept, December 1917, calls this a "monthly sixty-four page magazine with spirit pictures, devoted to Psychical Research, Occultism, Astrology, Psychology, Higher Thoughts, New Thought, and Christian Science." LOC; NYPL; Stanford University.